The phrases 'the worst serial murders in Australia's history' and 'Australia's worst mass killing' are both rooted in the 1990s, in Adelaide and Port Arthur respectively. 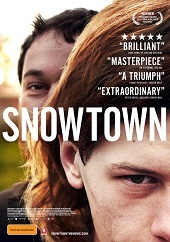 In Snowtown, Director Justin Kurzel looks at the first shocking set of horrible crimes. That's not to say the film is gory in either a crude exploitation way, nor a slick, ironic Tarantino way. Kurzel and writer Shaun Grant work within the modest budget to render the horror of reality through unembellished realism. To this end, Henshall is John Bunting, the charismatic yet darkly obsessive social hygienist of the Northern Adelaide Suburbs. Moving into the fragile and disenfranchised family of Jamie (Pittaway), which includes his mother and two brothers, Bunting slowly ingratiates himself in the unit but also the community. He starts to hunt down paedophiles, whom he sees as corrosive to the social fabric. His equating paedophilia with homosexuality is vaguely hinted at in the film, but it is enough to evoke memories of politicians' and others' vocal concerns, many of which have hardly abated to this day. What is most memorable about Snowtown is the set design. I felt thoroughly immersed in the early to mid 1990s, especially in that grim, hopeless part of Adelaide, the periphery of which I happened to grow up in. The people there are hardly changed over two decades, which made casting very easy. The crew in large part went through shops and hang-outs in the area, talent-spotting. The end result, a composite of speech, attire and mannerisms, is very convincing. I was informed that when the film opened, it screened at Elizabeth but not in Salisbury, where most of the murders took place. I think this movie is good and Australia, especially SA and Northern Adelaide, owed itself the production. 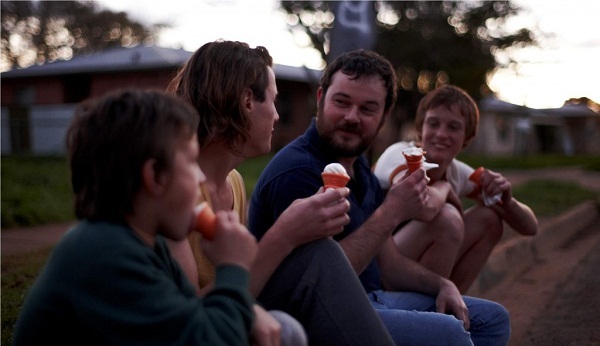 While lacking the slick Hollywoodness of a film like Se7en or Zodiac, Snowtown compensates with microscopic, mundane reality to give up the horrific forebodings and implications of murder.